As a member of GOPA Consulting Group, GOPA Infra shares the ethical values of integrity and compliance, stipulated in the Group’s Code of Ethics. As a member of GOPA Consulting Group, GOPA Infra shares the ethical values of integrity and compliance, stipulated in the Group’s Code of Ethics. If ever a staff member, business/project partner or other individual considers that the principles of this Code are not being upheld, they have the ability to raise this with the independent Compliance Officer, specifically designated for reviewing compliance with this Code. Any information provided will be handled with strict confidentiality. The principles underlying GOPA Infra’s collaboration with business partners are integrity, fairness, transparency and partnership. Business partners are non-GOPA Group companies and individuals who enter into a contractual relationship with GOPA Infra, in order to provide goods or services. GOPA Infra stands for reputable and honest business dealings in the course of everyday business that comply with all relevant rules and regulations. GOPA Group’s values and principles are based on the principles of the United Nations Global Compact, the International Chamber of Commerce’s Business Charter for Sustainable Development and the relevant conventions of the International Labour Organisation. As a member of the GOPA Group, GOPA Infra expects its business partners to implement and comply with the principles and values set out in this Code of Conduct across their organisations worldwide. 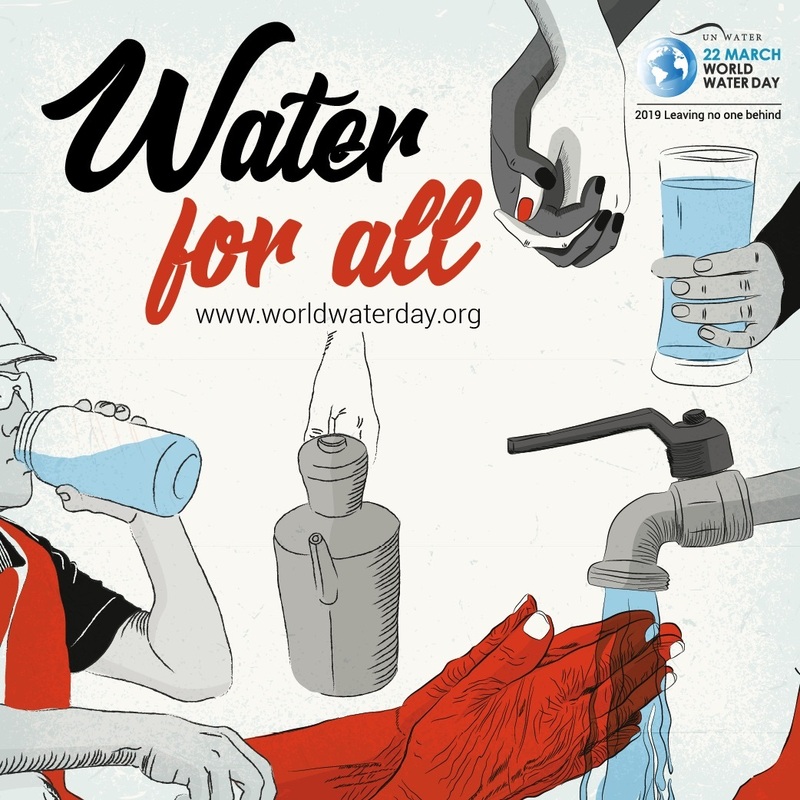 This year's World Water Day focuses on the central promiseof the 2030 Agenda for Sustainable Development: as sustainabledevelopment progresses, everyone must benefit. Globally, 2.1 billion people live without safe water at home. 80% of the people who have to use unsafe and unprotected water sources live in rural areas. Women and girls are responsible for water co­llection in eight out of ten households with water off their premises and around 159 million people collect their drinking water from surface water, such as ponds and streams. These facts demonstrate how essential engagement in the water sector is and how far-reaching the impact of international work can be. Marginalised groups – women, children, refugees, indigenous communities, disabled people and many others – are often overlooked and sometimes face dis­crimination as they try to access and manage the safe water they need. To “leave no one behind”, we must focus our efforts on including people who have been ignored. Water services must meet the needs of marginalised groups and their voices must be heard in decision-making processes. Not only GOPA Group companies, but also our donors, focus on integrating locals in the project cycle. The involvement of citizens in the project planning and implementation processes helps to raise awareness and sustainably realise projects. Within the next few years the challenges in the water sector will not become less significant. The threat of climate change is so ubiquitous that the topic “leaving no one behind” is as important as ever. Let´s keep this topic in mind while working on our world´s challenges! After having received a KfW addendum, the project “Kampala Water - Lake Victoria WATSAN, Package 5b - Accompanying measures for the promotion of improved private hygiene, sanitation and corresponding services in the informal settlements of Kampala (AMC)” is on the right track. After having received a KfW addendum, the project “Kampala Water - Lake Victoria WATSAN, Package 5b - Accompanying measures for the promotion of improved private hygiene, sanitation and corresponding services in the informal settlements of Kampala (AMC)” is on the right track. Our project team is currently working on the design of public sanitation facilities for the Kampala suburbs. As the Ugandan National Water and Sewerage Corporation (NWSC) decided not to claim user fees, one of the ideas is to construct and build facilities with commercial space on top in order to generate income for the operator. We are looking forward to the finalisation of the architectural drawings and the construction of the facilities! In the second project in Uganda, the “Integrated Programme to Improve the Living Conditions in Gulu and Small Towns en Route in the Victoria Nile Catchment (IPILC) – Engineering and Institutional Development Consultancy (EIDC)”, GOPA Infra is implementing the institutional component. In the current project phase, our team, together with our local partners, is building a sanitation facility showroom to evaluate the best solutions for the users in the project area. We hope to finalise this phase in time to start building the facilities in the field as soon as possible! Both projects profit from our dedicated staff. We are glad to contribute to the Ugandan water sector! 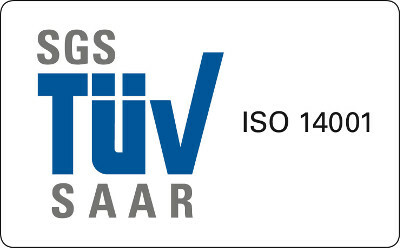 As quality management, environmental protection and health/safety at work became essential components of all our projects, we decided to tackle all three certifications at the same time. Population growth and urbanisation are two of the world’s biggest challenges that will centre on cities in the future. In India, half the population will be living in cities by 2030. Providing the urban population with adequate living space and basic services, such as water, sewage and solid waste, is of main importance. Two workshop seminars were held at the Ministry of Transport in July and October for governmental employees and private companies’ managers. Sixty-one participants coming from the private and public sector have successfully completed their ELA (European Logistics Association) training courses. Three groups have been organised, each one following four modules for 14 days: business principles, transportation, warehousing and supply chain. 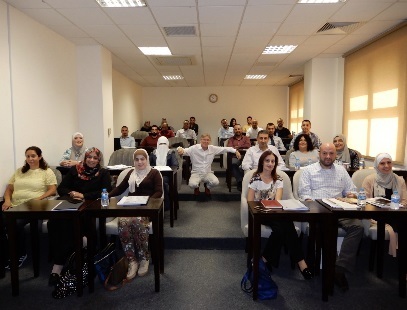 The training took place at the German Jordan University in Amman, with both local and international instructors. All participants who are successful in their exams and interview will be awarded the EJLog certificate. Certified participants are going to be the first ELA Certified professionals in Jordan. 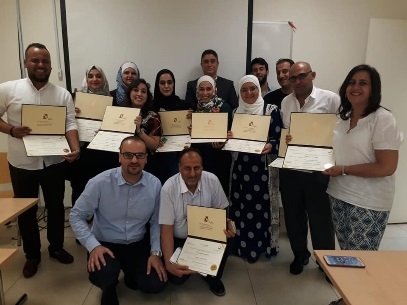 Twenty-five participants from the private and public sector have successfully completed the ToT (training of trainers) training course conducted by local instructors over 13 days at the German Jordan University. ToT participants were awarded a participation certificate approved by this university. Forty-six participants have successfully completed the warehousing management course, covering warehouse organisation, layout, and safety and security, for which two groups were organised. 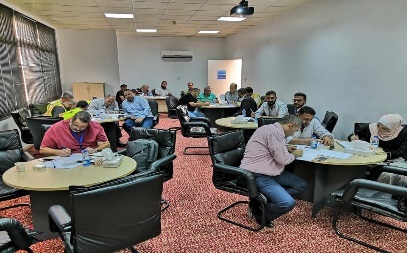 The training sessions took place in Aqaba Logistics Village in Aqaba. Participants were handed attendance certificates by the Logismed project, approved by GOPA Consultants. A team from GOPA Infra joined the workshop on the outcomes of Indo-German Cooperation through the “Support to Ganga Rejuvenation Project” on 30 October in Dehradun, India. 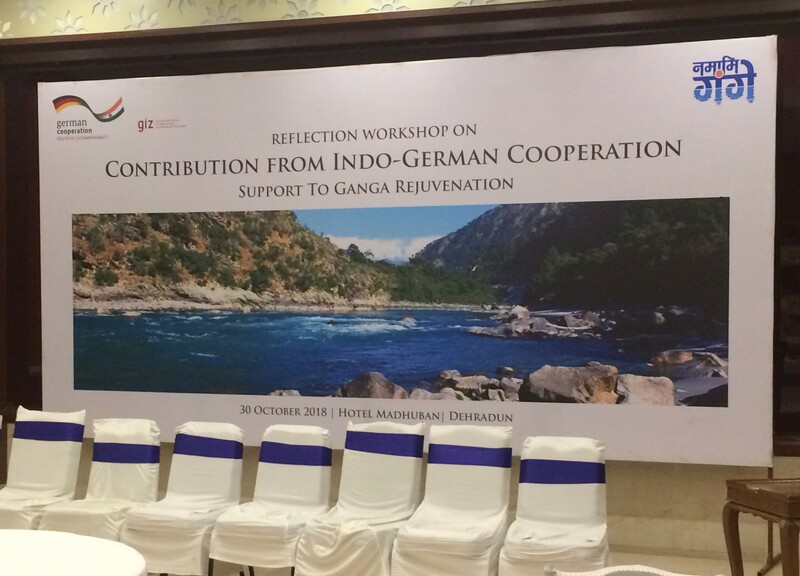 A team from GOPA Infra joined the workshop on the outcomes of Indo-German Cooperation through the “Support to Ganga Rejuvenation Project” on 30 October in Dehradun, India. Key findings from capacity development support, quality monitoring of the River Ganges, efficiency improvement measures and opportunities were discussed. The team started the extension phase in a separate internal meeting. Our cooperation is fruitful, and the team is looking forward to making more improvements with the initiative of Clean Ganga in the states of Uttarakhand and Uttar Pradesh. For more than two decades, Waste Electrical and Electronic Equipment (WEEE) or e-waste has been dumped at the Agbogbloshie site in Accra/Ghana, and handled by the informal sector in terms of recycling and disposal. GOPA Infra is leading a consortium comprising of Ramboll Environment & Health GmbH (Munich/Germany), EAP (Accra/Ghana,) and the NGO Technology without Borders (Germany/Ghana). We signed a €2m. contract with Ghana’s Ministry of Environment, Science, Technology and Innovation (MESTI) for the KFW-financed project, “Recycling and Disposal of Waste of Electrical and Electronic Equipment in an Environmentally Sound Way”. The project addresses the sound disposal and recycling of WEEE and aims to reduce damage to the environment and human health caused by unsound recycling of e-waste, and at the same time to ensure livelihoods while channeling the most heavily polluting e-waste processing from the informal sector into sound recycling. The Rural Development Programme (RDP) is a German, grant-funded development programme, aiming to improve the condition and effectiveness of rural infrastructure in the Southern Shan State of the Republic of the Union of Myanmar. The Rural Development Programme (RDP) is a German, grant-funded development programme, aiming to improve the condition and effectiveness of rural infrastructure in the Southern Shan State of the Republic of the Union of Myanmar. Funds have been earmarked for this project by the German bilateral financial cooperation, provided through the KfW Development Bank. Leading the project are an international team leader and a national deputy team leader who manage a mixed team of international and national rural-roads-survey/design and construction-supervision specialists. The project’s implementation period is 40 months. For phases IV and V, the planned output is 131 km of rehabilitated or upgraded roads and other off-road infrastructure. The programme objective is: improved access for the rural population in the project region from villages to town centres and to schools, health centres, markets, places of employment and public administration through sustainable utilisation of RDP roads throughout the year; as well as improved maintenance of rural roads. Project implementation commenced shortly before the actual contract signing. Topographical, geotechnical and environmental surveys are currently being carried out to have a first set of detailed design studies completed by August/September 2018. The picture shows the consulting contract being signed between the Ministry of Construction’s Department for Rural Road Development in Naypyidaw, Myanmar, and the Managing Director of GOPA Infra’s partner company, Orion Consulting Associates (OCA). As Technical Assistance to the Agence National d’Investissements des Collectivités Territoriales (ANICT), GOPA Infra initiated the official kick-off session of the two decentralisation programmes, PACT IV and V-I. As Technical Assistance to the Agence National d’Investissements des Collectivités Territoriales (ANICT), GOPA Infra initiated the official kick-off session of the two decentralisation programmes, PACT IV and V-I. The kick-off was attended by the line ministries and representatives of the German embassy, the KfW Development Bank and different other stakeholders. In line with the preceding phases of the programme, these two programmes contribute to the decentralisation process and good governance in Mali, through the financing of investments by the territorial communities. PACT IV (volume: €8m.) is designated to provide direct support to four secondary towns and ten local communities, taking a capacity-reinforcement approach. This will enable the beneficiary communities to undertake their role as contracting authority during implementation of the investments financed. While PACT IV works with this hands-on approach, PACT V-I contributes to the decentralisation process through financing by the “national funds to support the territorial communities” (FNACT), and support to the capacity reinforcement of the executing agency ANICT. Together with its partner AMBERO, GOPA Infra will assist ANICT over the next 36 months in the technical and financial management of both programmes. It is possible that the PACT V-I approach will then be extended by a further 36 months. 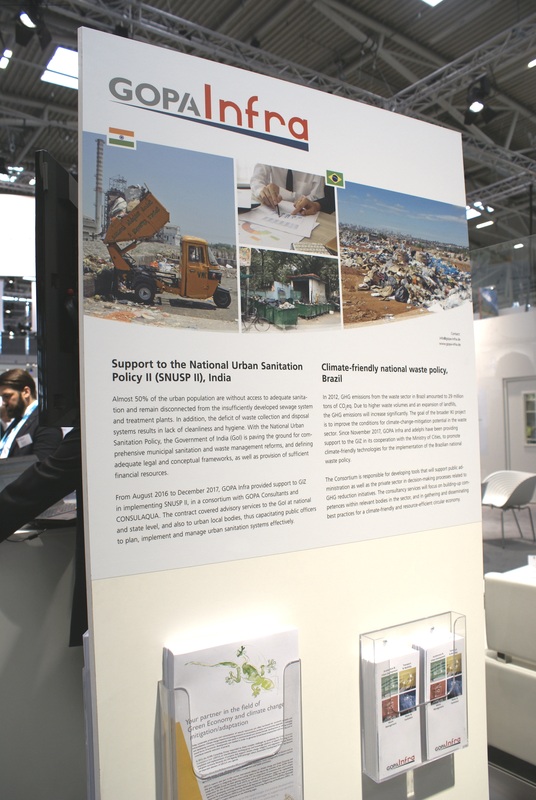 This year, GOPA Infra was represented at IFAT 2018. Our booth was part of the German Water Partnership section. 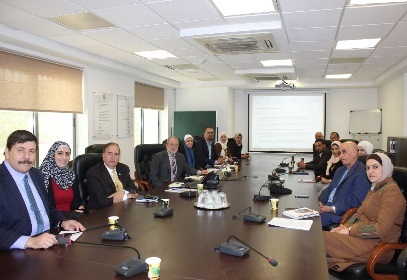 Project activities focusing on the water, wastewater and solid waste sectors were presented. We were also able to welcome country delegations, including one from Brazil. IFAT, the leading international trade fair for environmental technologies in Munich, is one of the most prominent opportunities for networking and business development activities. GOPA Infra’s presence there attracted experts interested in professional opportunities, gave potential business partners the chance to develop project leads, and provided a forum for meeting clients and project teams alike. Mr Claus Hager (GOPA Consultants, department Rural Development and Environment), Mr Rainer Riha (GOPA Infra) and Mr Mathias Lueg (GOPA Infra) (from left to right) undertook a pre-inception mission to the Selous Game Reserve. Despite challenging weather and road conditions, they managed to reach the SGR headquarters at Matambwe where they met representatives of the park management and Frankfurt Zoological Society. 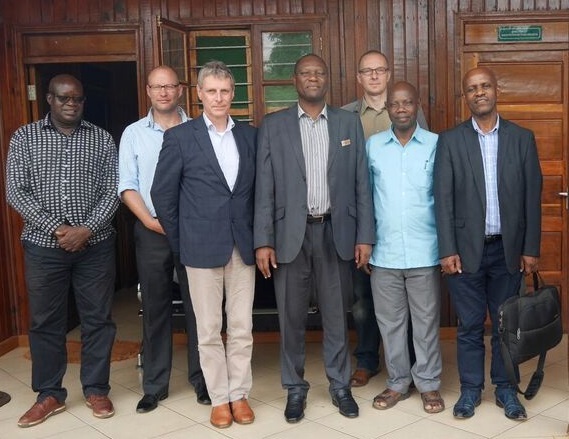 Discussions on the implementation of the project funded by the KfW Development Bank were also held at the headquarters of the Tanzania Wildlife Authority in Morogoro (see picture below). The project aims to improve the infrastructure of Selous by rehabilitating roads, bridges and airstrips, as well as constructing workshops and accommodation for rangers. The provision of equipment is an additional element. In the sensitive environment of a UNESCO world heritage site that is larger than Switzerland, the interventions require careful planning and execution. 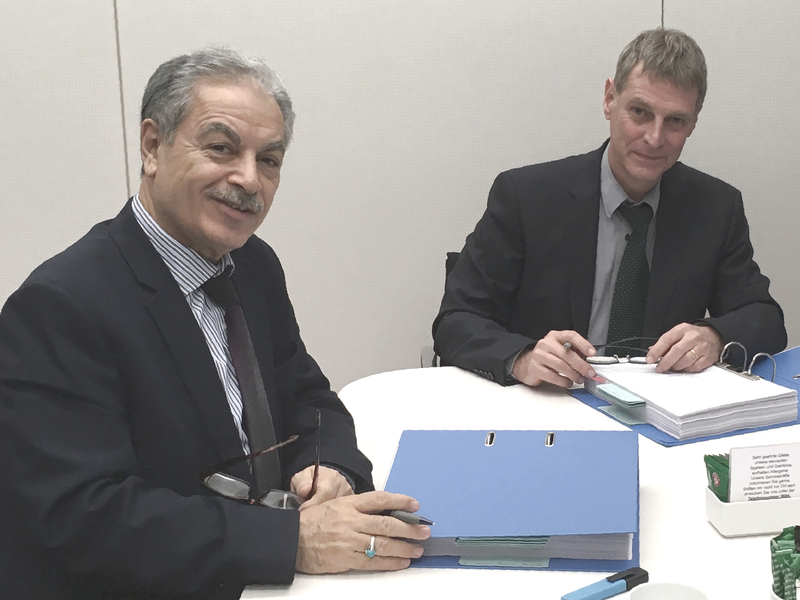 GOPA Infra has signed a EUR 2.2m., EU/EIB financed TA contract for the implementation of the “Integrated Programme for Protection of the Lake Bizerte against Pollution”. 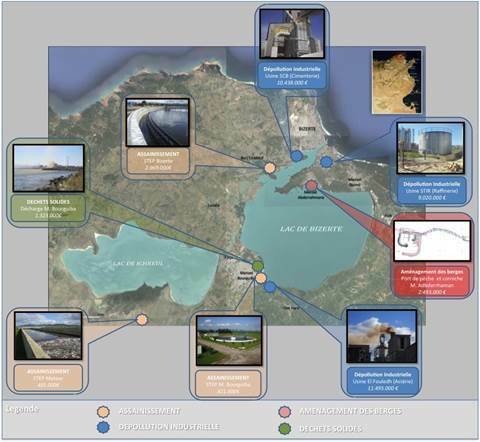 GOPA Infra has signed a EUR 2.2m., EU/EIB financed TA contract for the implementation of the “Integrated Programme for Protection of the Lake Bizerte against Pollution”. 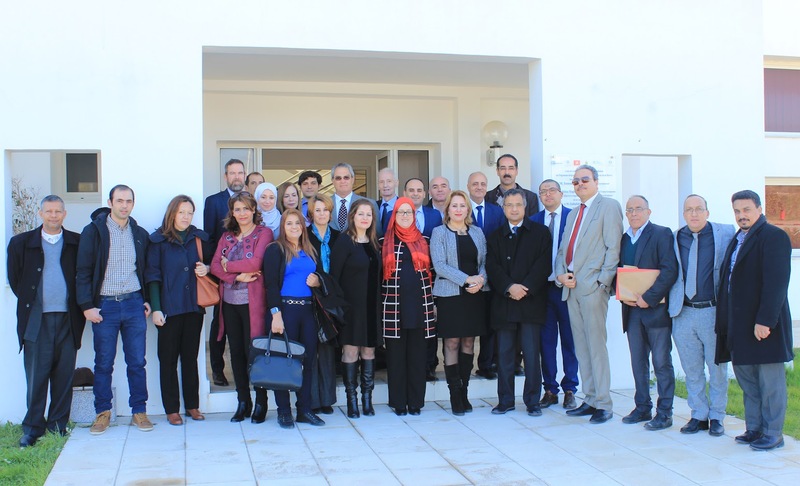 During the contract-signing ceremony in Bizerte (one hour north of Tunis), GOPA Infra presented key figures and its TA mission for the coming five years to high-ranking political and financial stakeholders. The programme comprises four investment components, namely: reduction of industrial pollution, mainly in three public companies; extension and improvement of urban and rural wastewater collection and treatment; solid waste; and coastal zone management through the rehabilitation of the landfills, lakeshores and fishing harbours. The total investment amounts to EUR 90m.. The inauguration of the industrial training center was celebrated in the presence of the German Ambassador, dignitaries from Bago State, the Ministry of Industry and the Ministry of Education, as well as representatives from KfW Development Bank and GIZ. Mr. Mathias Lueg and Ms. Tara Sann represented the GOPA Infra/Planco consortium which has provided the consultancy services for construction, rehabilitation, and the provision of advanced equipment and training. Second project won in Iraq! 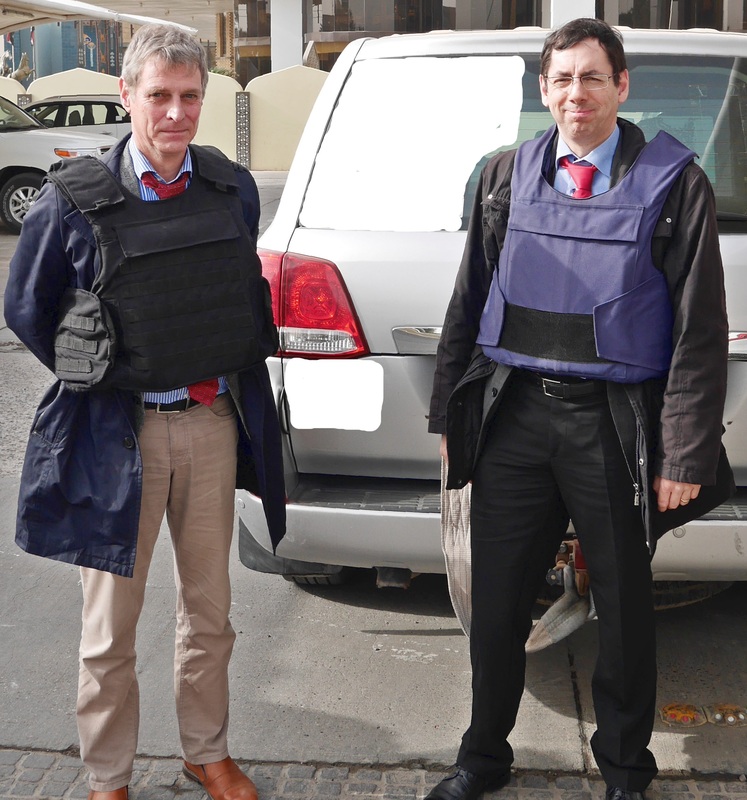 Mathias Lueg, Managing Director of GOPA Infra, and Jürgen Paulussen, Senior Consultant, led a mission to Baghdad to kick-off the management support to the Reconstruction Fund for Areas Affected by Terroristic Operations (ReFAATO). Mathias Lueg, Managing Director of GOPA Infra, and Jürgen Paulussen, Senior Consultant, led a mission to Baghdad to kick-off the management support to the Reconstruction Fund for Areas Affected by Terroristic Operations (ReFAATO). Under tight security arrangements several meetings with ReFAATO, line ministries and implementation partners were held. 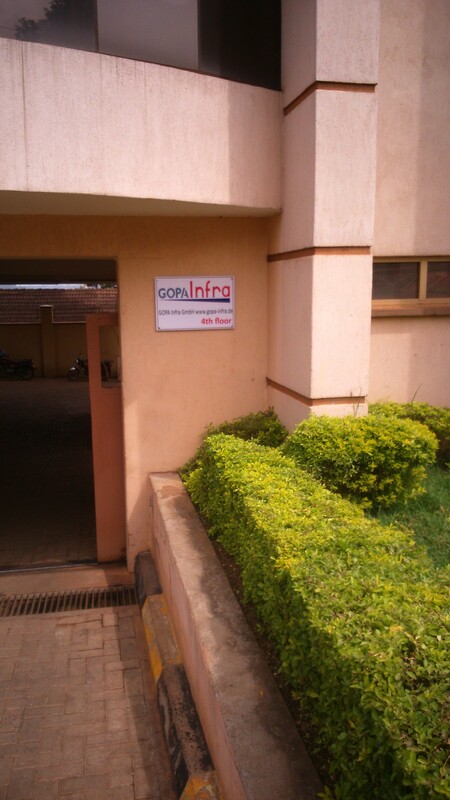 In addition to Afghanistan and Turkey, GOPA Infra has successfully opened a registered branch office in Uganda. The office is located in Kololo, close to the city centre of Kampala and houses project staff as well as our country representative, Ms Sabine Böltken. GOPA Infra is currently implementing three projects, for KfW Development Bank and Deutsche Gesellschaft für Internationale Zusammenarbeit (GIZ) GmbH, and is well prepared for upcoming challenges in its service areas. Our consortium has won the opportunity of implementing the contract “Climate friendly technologies and capacity development for the implementation of the Brazilian national waste policy” financed by the International Climate Initiative (IKI)“ and steered by the Deutsche Gesellschaft für Internationale Zusammenarbeit (GIZ) GmbH. This Brasília-based IKI-project aims to contribute to the improvement of the conditions for the exploitation of the mitigation potential related to the effects of climate change in the waste sector. GOPA Infra is responsible for the development of decision-making tools to support municipalities, and for the capacity building of public officials and stakeholders. The goal of our assignment is to strengthen institutional and human capacities “of municipal actors for a climate-friendly and resource-efficient circular economy”. The GOPA Infra/Adelphi team is steadily represented on site by two long-term experts, Mr Jan Janssen and Mr Guilherme Gonçalves, to be based in Brasília during the entire project lifetime. They will work directly with both the Ministry of Cities and Ministry of Environment, building the foundations for a solid contribution for the management of urban solid waste in Brazil. 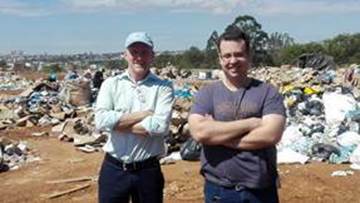 The photo shows our experts during a visit to one of the world’s largest landfills – Sao Joao Landfill in Sao Paulo, Brazil. A consortium comprising GOPA Infra, Sweco, INTEC, GOPA Middle East and Dar al-Omran was awarded the consulting contract to support the Reconstruction Fund for Areas Affected by Terroristic Operations (ReFAATO) in the management and monitoring of GCFI activities. A consortium comprising GOPA Infra, Sweco, INTEC, GOPA Middle East and Dar al-Omran was awarded the consulting contract to support the Reconstruction Fund for Areas Affected by Terroristic Operations (ReFAATO) in the management and monitoring of GCFI activities. ReFAATO is the primary Iraqi entity responsible for coordinating reconstruction operations in liberated territories of Iraq. Administered by KfW Development Bank, the GCFI is to contribute towards permanently returning Internally Displaced Persons (IDPs) to their home locations in Iraq. It will support investments in the restoration of local economic and social infrastructure, through rehabilitation, construction or supply of equipment. The main objective of the assignment is to provide smooth and efficient management and monitoring support to ReFAATO in its role as Project Executing Agency, in all aspects relating to the implementation of the GCFI Programme. HE Dr Mustafa Mohamed Amin Al-Hiti, President of ReFAATO, and Mr Mathias Lueg, Managing Director of GOPA Infra, signed the consulting contract at KfW headquarters in Frankfurt on 1 December 2017. After a successful start, and only 5 months of implementation of our KfW-financed project in Burkina Faso (Prestations de Consultant dans le cadre du Programme d’Approvisionnement en Eau Potable et Assainissement dans les petites et moyennes villes dans les Régions de la Boucle du Mouhon, Cascades, Hauts-Bassin et Sud-Ouest), a delegation of representatives from KfW and ONEA met GOPA Infra’s team on site in mid-September. Several visits were made and meetings held in different project towns, in order to allow the KfW delegation, in particular, to better understand the project’s needs and constraints, as well as our primary findings. During GOPA Infra’s summarising presentation at the final meeting in our project office in Bobo-Dioulasso, KfW announced that substantial additional funds have been recently granted to our project by the BMZ, increasing the already remarkable budget of the water-supply infrastructure works by roughly 45%. GOPA Infra is glad that technical assistance and engineering tasks are also planned to be increased – and, even more importantly, that the project will be much more coherent with the additional budget. This will help enhance, in a sustainable way, water-supply systems in the 16 middle-sized towns spread over the four regions in the south-western part of Burkina Faso, and consequently achieve the rather ambitious project indicators. GOPA Infra recently organised and moderated the “atelier de démarrage”, the official kick-off for our EUR 3.4 million project "Programme for water supply and sanitation in small and medium towns in the regions of Boucle du Mouhoun, Cascades, Hauts-Bassins and Sud-Ouest". GOPA Infra recently organised and moderated the “atelier de démarrage”, the official kick-off for our EUR 3.4 million project "Programme for water supply and sanitation in small and medium towns in the regions of Boucle du Mouhoun, Cascades, Hauts-Bassins and Sud-Ouest". Representatives of the national water and wastewater utility ONEA, KfW as main donor, and various NGOs and IFIs participated at the one-day event in Bobo-Dioulasso. Altogether, almost 60 people attended this meeting, including all the mayors of the 16 beneficiary towns. Aiming to extend infrastructure, particularly in the water supply sector, this project is the biggest German financial contribution to ONEA in the last decades. GOPA Infra is pleased to contribute to the long-standing engagement of the GOPA Consulting Group in Burkina Faso. 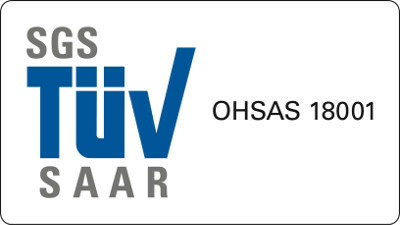 For more information, please contact Markus Daechert (markus.daechert@gopa-infra.de). 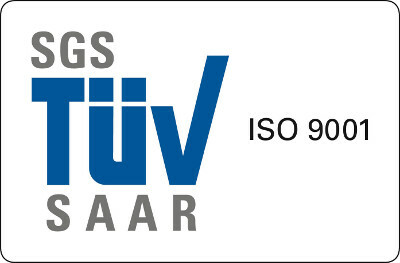 The GIDC Industrial Estate at Vapi in the State of Gujarat in the western part of India is one of the three project sites of our GIZ-financed project “Sustainable & Environment-Friendly Industrial Production” (SEIP). The GIDC Industrial Estate at Vapi in the State of Gujarat in the western part of India is one of the three project sites of our GIZ-financed project “Sustainable & Environment-Friendly Industrial Production” (SEIP). This site is a critically polluted industrial area, causing severe pollution to the surroundings, including the adjoining river Damanganga. GOPA Infra is providing technically and financially viable solutions to reduce the environmental impact in cooperation with the industries. Dr Ulrich Schmitz from GOPA Infra, Germany, visited GIDC Industrial Estate Vapi for the second time, together with the local GIZ SEIP cell. This formed part of the activities to suggest improvements for wastewater treatment processes in Effluent Treatment Plants (ETP) in selected industries. His one-week trip included meetings, field visits and discussions on the results of samples collected and findings during his first visit in February. These came from ten ETPs where the Gujarat Pollution Control Board (GPCB) identified problems in keeping one or more pollution-control parameters within limit. Questionnaires, design documents, data records and visual inspection enabled the expert to assess the condition and performance of each plant. He personally met the staff of each industrial branch, and made suggestions for improving their ETPs: for example, optimising the aeration tank; applying the correct chemical dosage to improve the settling of sludge; and new, tertiary treatment technology to reduce colour and total dissolved solids. A workshop was arranged with GPCB at Vapi. The thirty-five participants gained ideas on improvements that industries can bring about in their ETPs. On the basis of inputs by the German expert, the GIZ will come up with suggestions for improvement measures, and also for future technologies which can be implemented in similar industries. GOPA Infra is currently finalising the water component of the KfW-financed Social Investment Fund (IV) Programme, “Consulting Services for the Implementation of Training Activities for ADF (Albanian Development Fund) Key Training Staff in Albania”. As one of the final capacity-building measures, a study tour took place from 21 to 24 May 2017, visiting three German water utilities in and around Pforzheim (Stadtwerke Pforzheim, Kommunalen Wasserversorgung Knittlingen and Kommunale Wasserversorgung Niefern-Öschelbronn). It was organised and implemented by EWEC Water GmbH. Fourteen Albanian ADF trainees, one water expert from GOPA Infra Albania, and one representative from GOPA Infra Germany attended the tour. It was a great success; the Albanian ADF delegation and the German water utilities’ staff members enjoyed the international exchange highlighted by vivid discussions on economic and technical strategies from both sides. Strategic meetings, successful discussions and team-building events took place during our workshop to further improve GOPA Infra’s efficiency. GOPA Infra has recently won the jointly financed KfW Development Bank and Burkinabe water supply project called « Prestations de consultant dans le cadre du programme d’approvisionnement en eau potable et assainissement dans les petites et moyennes villes dans les régions de la Boucle du Mouhon, Cascades, Hauts-Bassin et Sud-Ouest». The project is part of a huge programme which aims primarily to establish, or to enhance in a sustainable way, the water supply systems in 16 middle-sized towns spread over four regions in the south-western part of Burkina Faso. The project’s total budget is EUR 14.25m, and it is to be implemented within 55 months (including the 12-months defects notification period). The services to be rendered by GOPA Infra from its base in Bobo-Dioulasso will cover general technical assistance and engineering tasks (from preliminary studies to construction supervision), as well as accompanying measures to help making the substantial investments sustainable. Together with its international and local joint-venture partners, GOPA Infra is looking forward to successfully implementing the project on behalf of ONEA, the beneficiary, and KfW Development Bank, the main international financing institution. GOPA Infra was awarded the contract for consultancy support to the C40 Cities Finance Facility (CFF). C40 is a network of the world’s mega-cities, committed to addressing climate change. GOPA Infra was awarded the contract for consultancy support to the C40 Cities Finance Facility (CFF). C40 is a network of the world’s mega-cities, committed to addressing climate change. C40 therefore provides support to cities for collaborating effectively, sharing knowledge and driving meaningful, measurable and sustainable action on climate change. In 2015, the C40 Cities Finance Facility was presented jointly by the German Federal Ministry for Economic Cooperation and Development, the C40 Cities Climate Leadership Group (C40), and the Inter-American Development Bank. The aim of the CFF is to assist C40 cities in developing and emerging countries, in the design and implementation of projects that will help tackle climate-change issues. The cities of Bogota and Mexico City are being given support by the CFF as part of a pilot phase. GOPA Infra is acting as the consultant for technical assistance, to enable sustainable financing of urban climate-change investments in the two pilot projects. In Mexico City, for example, the CFF will foster the implementation of a 22-km-long bus lane which includes 80 new electric buses to serve an average of 430,000 passengers per day. GOPA Infra held its final conference for the TA programme “Establishing Leadership Development Programmes for the HCWW & Developing its Financial Strategy” in Cairo thus bringing the two million Euro project funded by the European Union to a successful completion. GOPA Infra held its final conference for the TA programme “Establishing Leadership Development Programmes for the HCWW & Developing its Financial Strategy” in Cairo thus bringing the two million Euro project funded by the European Union to a successful completion. The conference was attended by over 100 participants including the Chairman and Vice Chairmen of the Holding Company for Water and Wastewater (HCWW), HCWW and Affiliated Companies’ (ACs) staff as well as representatives of the European Union, European Investment Bank, KfW Development Bank and Deutsche Gesellschaft fuer Internationale Zusammenarbeit (GIZ) GmbH. It is the first integrated Leadership Development Programme building capacity in HCWW and the ACs in order to develop the next generation of utility managers. The programme has demonstrably strengthened institutional capacity by developing operation, maintenance and project management skills thus supporting HCWW plans to identify and promote future leaders. The programme has also developed a financial model and financial sustainability ‘roadmaps’ to enable decision-makers at HCWW and the ACs to determine the best possible options for achieving financial stability. Donor representatives asked for upscaling by replication and building on the momentum already generated. The newly founded GOPA Infra is supporting Uganda’s National Water and Sewerage Corporation in implementing the Kampala Water - Lake Victoria Water and Sanitation Project. The newly founded GOPA Infra is supporting Uganda’s National Water and Sewerage Corporation in implementing the Kampala Water - Lake Victoria Water and Sanitation Project. With financial support from the KfW Development Bank, European Union - Africa Infrastructure Trust Fund, European Investment Bank, Agence Française de Développement and the Government of Uganda, the urban poor population’s access to affordable and sustainable water supply and sanitation services in Kampala shall be improved. It is expected that at least 400,000 people will receive access to safe drinking water through the project by 2020. The direct beneficiaries for sanitation improvements are expected to be at least 250,000 people at household (domestic) level, additionally 10,000 pupils at schools and 3,200 potential users of public toilets. Starting its activities in January 2017, the consortium led by GOPA Infra focuses on acompanying measures – next to introducing affordable sanitation technologies and implementing sensitisation and hygiene promotion campaigns, a main task is setting up a sanitation levy fund in order to cross-subsidise sustainable sanitation measures for the urban poor population. Providing long-term solutions to Kampala’s water supply challenges, the project is to be considered as peer project for developing sustainable mechanisms for improving the water supply and sanitation situation in informal settlements. If successfully implemented, the project bears potential for upscaling.